« Fire & Ice 5th Annual! 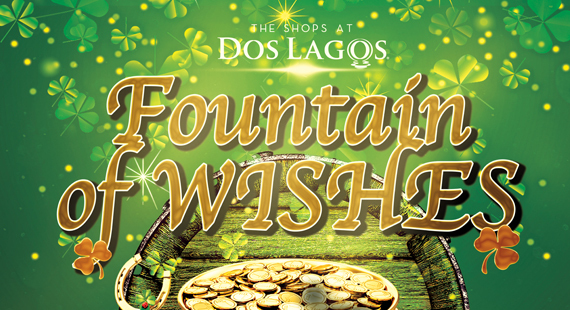 IN THE SPIRIT OF SAINT PATRICK’S DAY, THE SHOPS AT DOS LAGOS WILL DYE THE FOUNTAIN LOCATED BETWEEN PAPAYA & BEVERLY HILLS BRIDAL GREEN FROM 3/10/2019 – 3/17/2019! SNAP A PHOTO AT THE FOUNTAIN, UPLOAD IT ON FACEBOOK, TWITTER, &/OR INSTAGRAM! 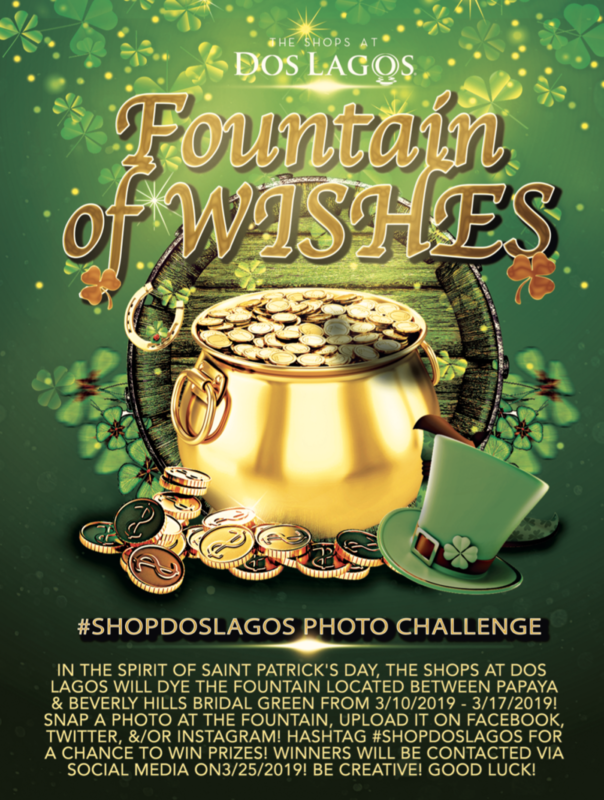 HASHTAG #SHOPDOSLAGOS FOR A CHANCE TO WIN PRIZES! WINNERS WILL BE CONTACTED VIA SOCIAL MEDIA ON3/25/2019! BE CREATIVE! GOOD LUCK!